Latest UFO sightings – Strange daytime objects were recorded in Tracy, California near testing grounds for Lawrence Livermore Labs aka Site 300. This footage was filmed on Friday, 26th March 2010. Most recent UFO sightings reports and evidences, LUS 2010 – real UFOs on the net of north America. Greys goverment conspiracy theory. 2012 forum. 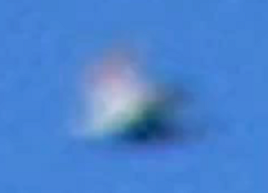 Unknown daytime object was seen and filmed over north Hollywood in Los Angeles, CA 29-Aug-2010 Daytime sphere or orb hovering in Californian sky Daytime UFO / Orb over California, USA LUS 2010 on abc News10 – Sacramento UFO sightings on the rise?